sunshine and whimsy. : our favourite slow cooker recipes. our favourite slow cooker recipes. 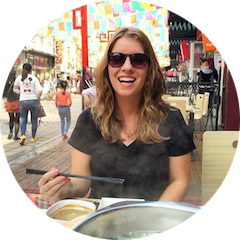 I bought a slow cooker the first year I lived in China and used it... once. Then Tony and I moved in together late summer 2013 and we started eating at home more often. Partly in an effort to be healthier, partly to save money, and partly because he discovered he likes to cook and even better, he's good at it. Now, once or twice a week on our lunch break, we make something in the slow cooker to be ready by the time we come home again that night. We've become more adventurous with the recipes we'll try, but we have a few that we make over and over. I've had some requests to share them, so here's a roundup of our favourites. It's safe to say that this recipe is our most favourite and the one we make most often. Summer recommends cooking it in the oven for better flavour, but suggests the slow cooker if you're short on time, so that's the only way we've ever made it. (We only have a toaster oven... and have never used it.) We always have enough for two meals for both of us. Can you tell we're a fan of Summer's recipes? Tony was unsure at first, but now he loves chili. This recipe is super easy. After work, I'll walk to a nearby bakery to get a fresh baguette to go with it... perfection. And there's always lots of leftovers. This one sounds weird, but it's delicious, I promise! We serve it with rice and always have enough for two meals for both of us. What we do differently: 3 chicken breasts. The first time we made this, I cried. It's so good. Comforting and perfect for winter! I find it filling on its own, but Tony likes to have bread to go with it (and really, who doesn't like a good baguette?). What we do differently: We half it, maybe even reduce it more than that, because of the size of our slow cooker. Again, we still have leftovers! Ground beef instead of chicken. Regular potatoes instead of red. P.S. 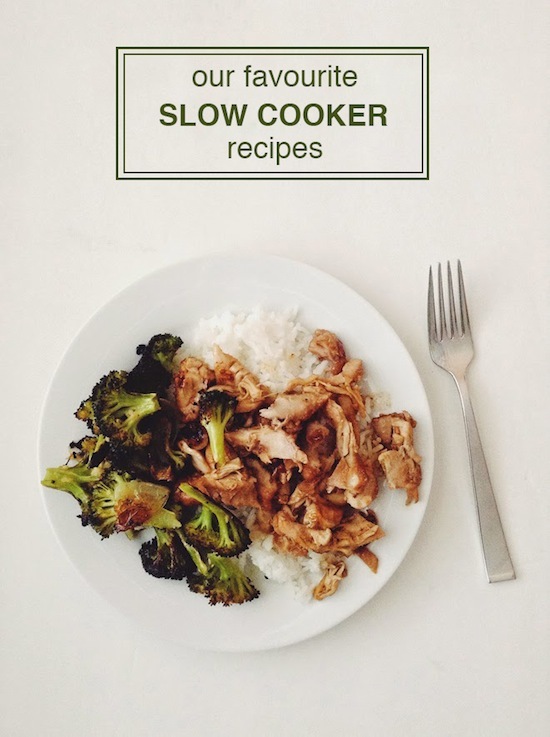 You can find more slow cooker recipes on my Pinterest board! All these recipes look delicious! You just made me feel like I NEED a slow cooker too! By the way, loving how often you blog now and seeing your Photoshop skills improve so quickly :) You're amazing! Thank you so much, Felicia! This made my morning! Hi, so this is an Indian hot pot lamb curry. It's flavourful and delicious. Sauté onions in oil they are browned, add ginger garlic paste, chilli powder or paprika, pepper, cumin powder, salt and stir. Add tomato purée, cubes of potatoes and lamb. Pour water and cook till the meat is cooked. Comfort food at its best!